What should we expect going forward? Take a look at the yellow lines drawn into the future of this chart. If our ADL price model is correct, then we should continue to see more moderate upside price bias with prices trading a bit more narrowly in a “melt-up” type of environment through the middle/end of June 2019. 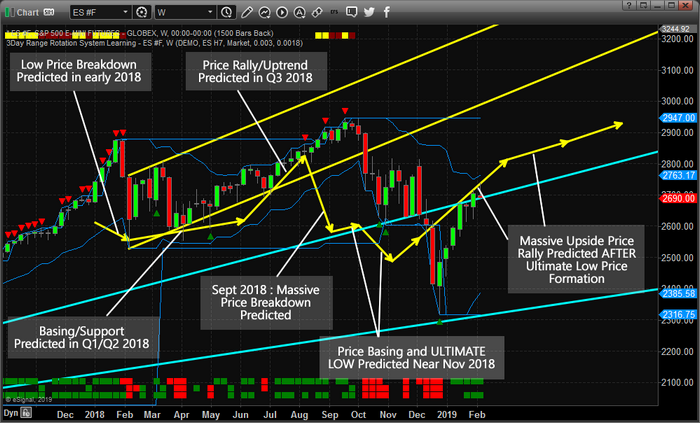 Want to know what our ADL predictive price model is showing for the rest of the year and into early 2020, then visit TheTechnicalTraders.com and learn why our members benefit from our tools and research in far more detail than we deliver in these public posts.